Demand for gas from Groningen will “fall sharply from 2020” as production at the northern Dutch field is reduced, Economy Minister Henk Kamp said in a letter to parliament released on Tuesday. The Netherlands has been forced to scale back production by roughly half at Groningen, which once met 10 percent of European Union gas requirements, to 24 billion cubic meters per year due to damage from earthquakes. Citing a June study by Gasunie, Kamp said a 480 million euros gas conversion facility in Zuidbroek was no longer needed due to falling exports. The Groningen gas field is operated by NAM, a joint venture between Royal Dutch Shell and Exxon Mobil Corp.
Dutch exports of gas have declined already and European countries, notably Germany, had said they would reduce Dutch imports further and seek other sources. The Netherlands had been studying the option of converting gas to meet export requirements. “The market conversion abroad has started sooner than we anticipated,” Kamp wrote. “Germany, France and Belgium will start the switch from low to high-caloric gas in 2020 instead of 2024. That will lead to a reduction in demand for Groningen gas from 2020, he said. 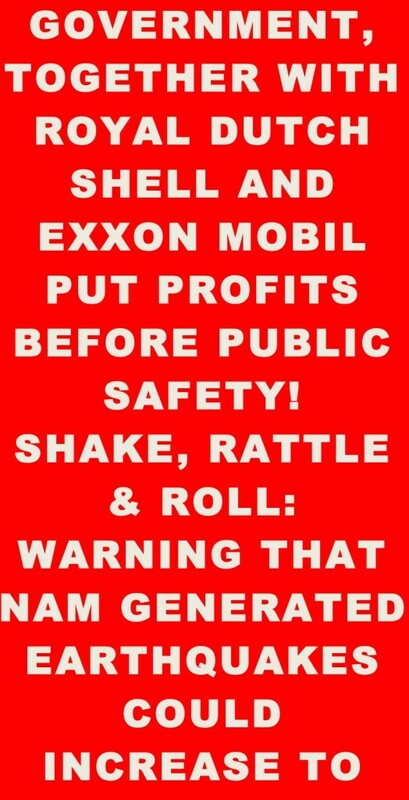 Posted in: Environment, Exxon Mobil, Gas, Groningen Earthquakes, NAM, Netherlands, Reuters, Royal Dutch Shell Plc, Shell.